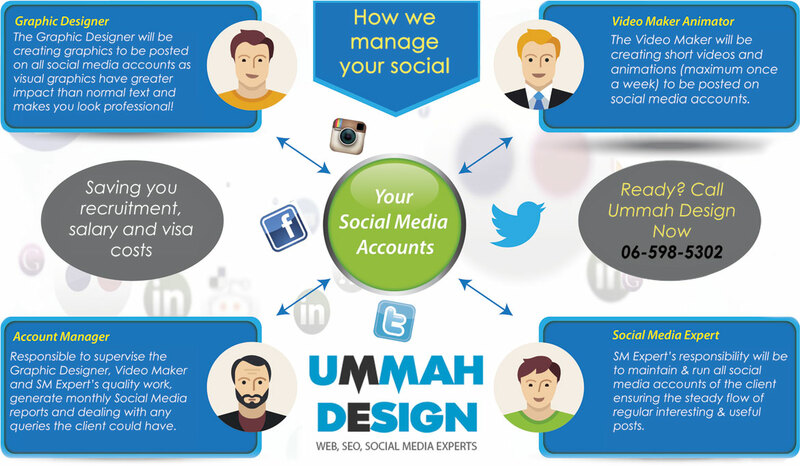 We provide Social Media Management Services UAE Way! No time, manpower or enough skills to run your social media? No problem. We will handle it for you professionally! By using our Social Media Management Service we will improve your online exposure & brand recognition , increase your social media audience and ultimately drive targeted prospects directly to your website.As we are based in UAE and know UAE traditions, customs, lifestyle and so on we can assure you we will handle the Social Media Management UAE style! We will research your business, industry, competitors, and target audience. We will prepare targeted, well-curated content with the popular #hashtags to increase the reach. Our social media team will try to provide a daily stream of relevant content that informs, educates and entertains your followers. That will create an impression of a thought leader & source of expert/useful information and thereby nurture your prospects over time into becoming customers. All the packages below are fully adjustable - change it, swap it, make it your own and just let us know! Your perfect social media package with a price tag to match your budget! We will set up your social media accounts (if you don’t have one) and customise them to go with your branding. For Free! We help your business increase trust & confidence in your prospects by having an active social media presence. We will actively post engaging posts with popular hashtags to attract more attention and increase the leads! We can free up your valuable time so that you can concentrate on other important aspects of your business! We increase your social media audience, improve your exposure, create brand awareness and help you find new customers! By being active on your social media accounts and from the mass of social signals that we create we positively affect your Google ranking! Depending on the package you choose we provide monthly or quarterly reports so you know how we are progressing with your social media.